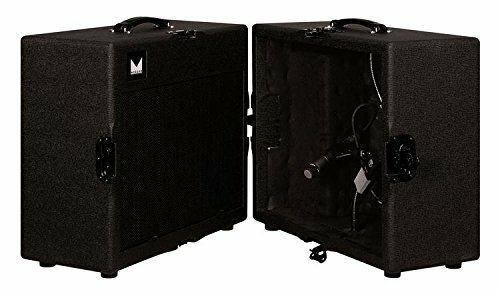 Power handling: 75W Speaker: 1x12 Celestion G12H75 Impedance: 16 ohms Free-flow air port allows correction speaker/mic relationship Dual goosenecks with Triad-Orbits M2-R 180 rotational mic mounts Quick connect front-panel access Construction: multi-ply baltic birch Dimensions: (extension cab only) 24 in. x 21 in. x 10 in. ; (isolation) 24 in. x 21 in. x 20 in. Weight: (extension cab only) 38 lbs. ; (isolation) 70 lbs. Handcrafted in the U.S.A. If you have any questions about this product by Morgan Amps, contact us by completing and submitting the form below. If you are looking for a specif part number, please include it with your message.